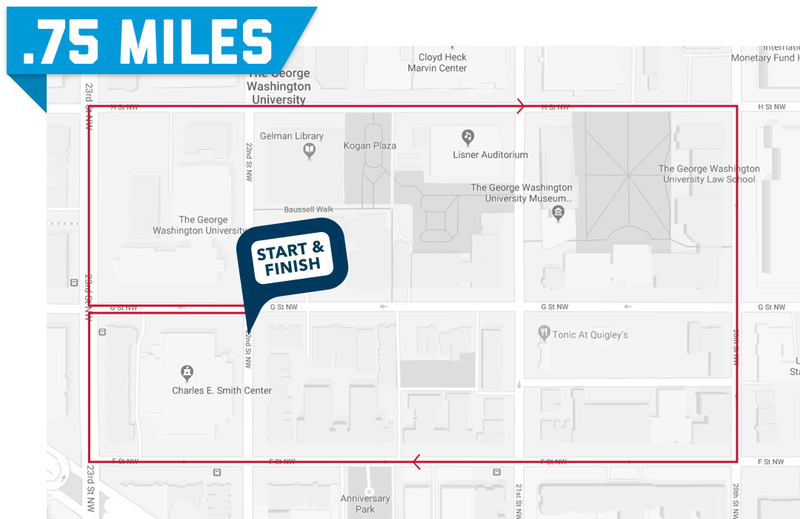 Please keep in mind that all routes start and end at the Charles E. Smith Center on 22nd and G Streets, NW. 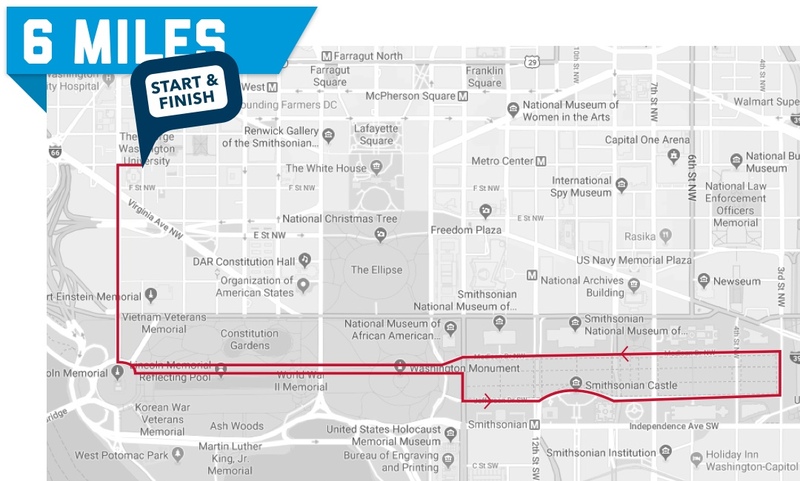 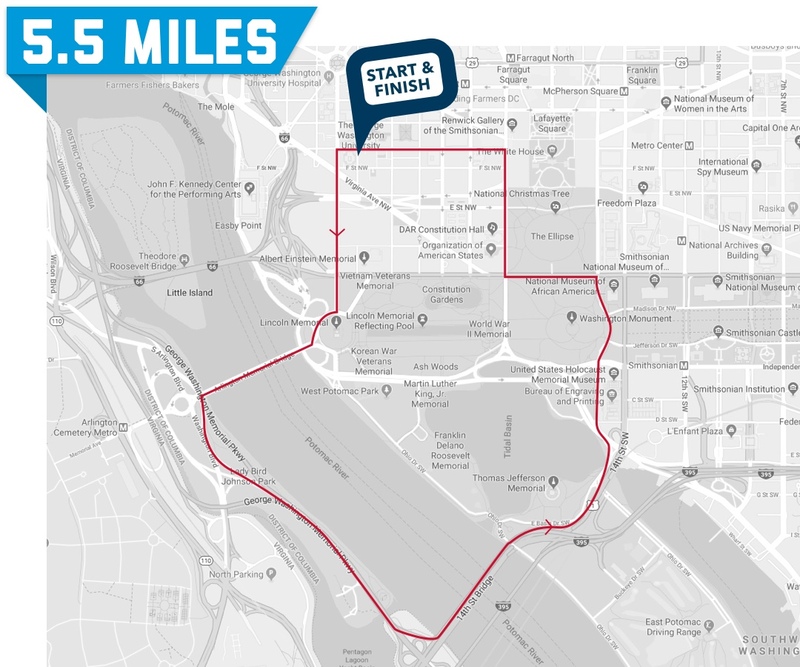 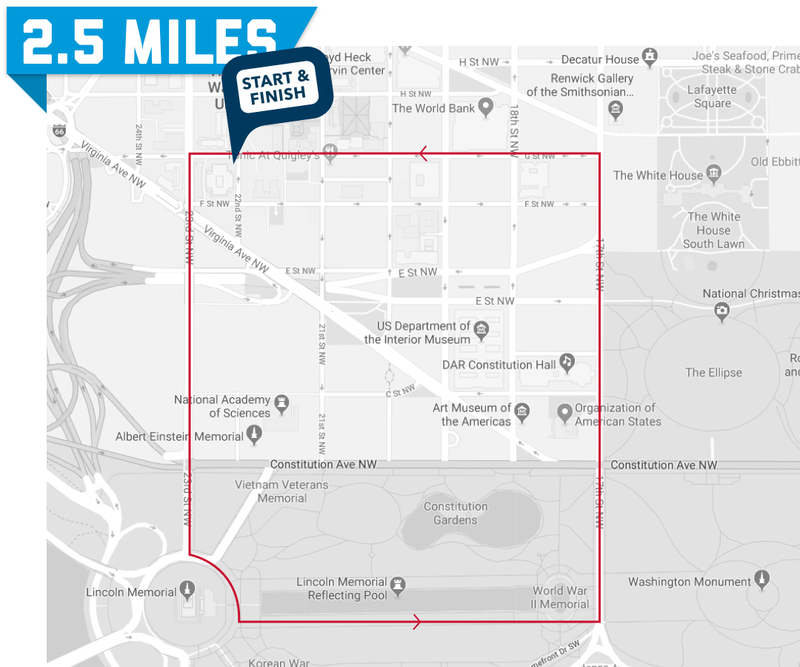 *Due to the nature of running in the District of Columbia, many of these routes will take you across streets that are heavily traveled by automobiles. 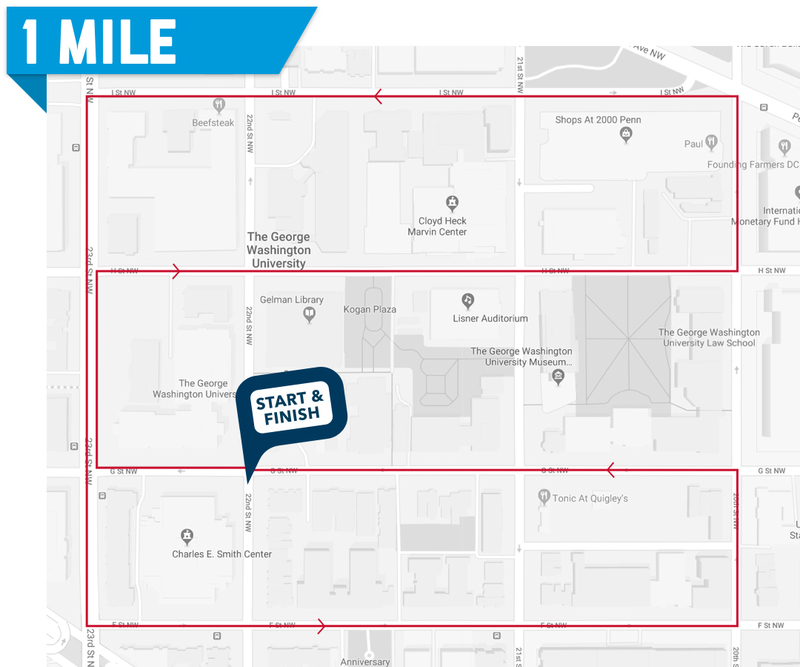 Walkers and runners are advised to take extra precautions when crossing these intersections. 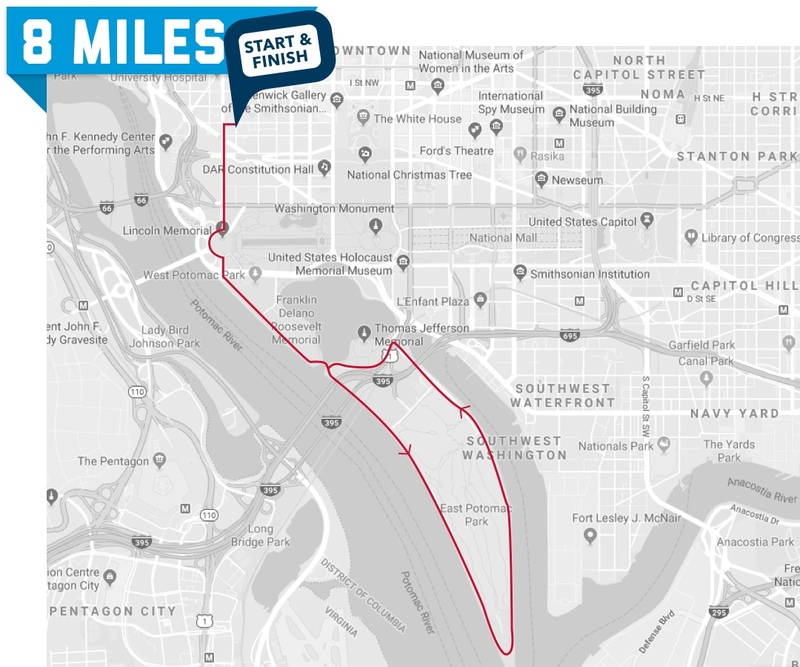 Remember to run safely--run with a friend. 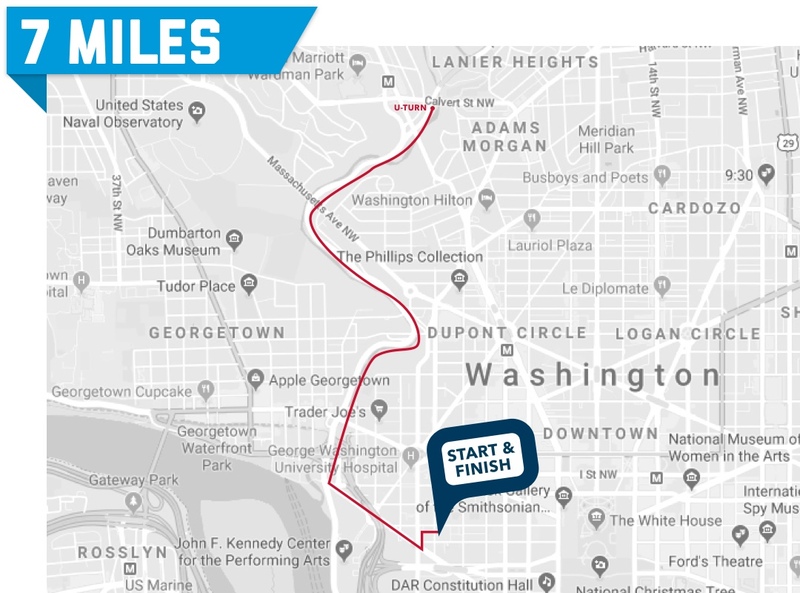 If you choose to run alone, only run in areas that are familiar to you, never run with headphones on, and run in the daylight.